TUESDAY, APRIL 16th at 3:00pm – Rock or Shell Painting- Bring your designs or choose one of ours. THURSDAY, APRIL 18th at 3:00pm – JCCL Family Movie – Blank Check An unexpected incident leaves a signed but blank check in the hands of 11-year-old, he fills it in for $1 million and buys everything a kid could ever want.” Rated PG 1994 Comedy 1h 35m. 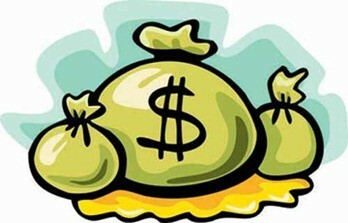 $$ WEDNESDAYS – April 10, 17, 24 at 1:30pm-2:30pm– Intro. All About Money Bring your child to an introduction about money, what saving means and how to do it! Specially for ages 4-12. Sponsored by Core Plus Credit Union and Chelsea Groton Savings Bank. THURSDAY, APRIL 11th at 6:00pm – How Anyone Can Prepare, Pay & Stay In College Sponsored by Core Plus Credit Union. Baby Rhyme Thyme – Tuesdays at 9:45 am. A friendly, half-hour program of singing, finger plays & age-appropriate books. Recommended for children under 2 years. Music in Motion for Toddlers – Wednesdays at 10:00 am – A half hour program of dancing and songs for ages 2-4. 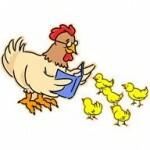 Thursday Story Hour – Thursdays at 10:00 am Story time and craft for 2–5 year olds.